Before you seek a service order application, please review the FAQ for troubleshooting. If you continue to experience issues with your product, please contact a service representative. Do not disassemble the machine or repair it without a specialized technician. Where can I find spare parts for my product? Are you using a single outlet and more than 10 amps? Spare parts can be model specific so confirming your model number will be the best way to order the correct part. The inner pan coating started to peel. Is it safe to continue to use it as it is? Here is basic information about PTFE coating; The U.S. Food and Drug Administration (FDA) concluded that fluoropolymer non-stick coating for cookware is acceptable for conventional kitchen use. Heating non-stick cookware above 500°F (260°C) can discolor the surface of the cookware or cause it to lose some of its non-stick properties. Since butter, fats and cooking oils start to smoke at 400°F (204°C), overcooked foods would most likely burn to an inedible state before the non-stick coating would be affected. If an empty non-stick cookware pan is accidentally heated above 660°F (348°C), a temperature that far exceeds what food preparation calls for, the non-stick coating may begin to deteriorate. The coating will not melt within the ingredients even if the coating is accidentally ingested, it is non-toxic and would pass through the body without being absorbed. Based on the inert characteristics of the coating, data indicates that there are no health effects from the incidental ingestion of pieces of non-stick coating. Our highest cooking temperature is 212°F. It is safe to use. Although Non-stick coating is very sensitive, please use with extra caution. Why is my inner pan coating peeling? Coating can peel if sharp utensils are placed or used in the inner pan. Heavy-duty sponges can cause the non-stick coating to scratch off. If the keep warm function is used longer than 12 hours, moisture in rice can penetrate through the non-stick coating and bind to it. Some models are recommended for cooking plain white rice only so be sure to avoid cooking any other types of grains in those models e.g. JNP models. Avoid using spices, salt, butter, oil or vinegar in the inner pan. Some models have gaskets on the outer lid which tends to hold the water during the cooking process. Please rinse and wipe dry at every use otherwise dew may drip into the inner pan and will cause lifting of the coating. Is the inner pan covered under warranty? You can make your purchase on our spare parts website. Please be advised that spare parts are model specific and are not interchangeable with any other models so please confirm your model number before your purchase to make sure that the inner pan is the right fit. How long is the life span of the lithium battery? The lithium battery can last 4-5 years with the power cord unplugged. Lithium batteries are not used when the rice cooker is plugged to the outlet. Even if the display says 0:00, the rice cooker is still functional when plugged in however, to continue to use the product please adjust the clock setting to the current time. It has been less than 6 months of purchase but the screen displays 0:00, does the lithium battery need to be replaced? It could be a hard reset, try to adjust to the current time. If the issue persists please contact our customer support team for a service order request. My rice cooker’s screen displays 0:00, can I purchase the battery and replace it myself? When your rice cooker’s display shows 0:00, it will require repairs. In this case, please contact our customer support team for a service order request. When using the rice cooker, the electric cord and plug feels abnormally hot. What can cause this? Please check if more than 120 volts is being used. When using a single outlet, please make sure that it is more than 10 amps. The cord could be damaged. In this case, a new cord must be purchased. The power cord may not be securely plugged in the outlet. Ensure that the power cord used is the one supplied with the product. When unplugging from the socket avoid pulling the cord. What is the cause of rice becoming crispy when using keep warm mode? There may be steam leakage due to foreign matter (rice grains) on the gaskets. Thermal insulation is below the minimum heat retention capacity. In which case, please refer to the lowest number on your inner pan. The minimum amount of rice being kept warm is equal to the lowest number indicated on the inner pan markings. There is no rice in the center causing an uneven heat distribution. So please ensure that the rice is evenly distributed throughout the inner pan. The inner pan is deformed, burnt on the bottom, worn so heat is unevenly distributed between the inner pan and heater plate. There may be foreign matter (rice grains or the like) attached to the outside of the inner pan, center sensor and/or heater plate. Rice can become crispy when using the reheat function more than three times. There may be an issue with your center sensor or heater plate due to overuse of keep warm function and so the keep warm temperature may be too high. If the issue continues to persist, please contact our customer support team for a service order request. Can I purchase a product and bring it to use overseas? When using our products overseas please take note of the differences in voltage. Electrical products sold in the US is rated 120v and are made exclusive to the U.S.
Warranty on the product will automatically become invalid once the product is used in a different country. When setting the timer the start key lamp will not turn on. Is this a malfunction? When setting the time, the time set cannot be less than the cooking time required for the specific function. Please check your product manual https://tiger-corporation-us.com/support/instruction-manuals/ for guidelines. The timer function is only compatible with certain menu functions. The product manual will indicate which menu functions are compatible with the timer function. When pressing the start key, the error display appears on the screen. Is this a malfunction? Please make sure that the product is well ventilated otherwise this error message may appear on your screen. When the product has completely cooled and the error message is still on the screen, please contact our customer support team for a service order request. What is the rice cooker’s process? Once the start key is pressed, water absorption will take place and followed by temperature setting. As the temperature rises to meet the pre-programmed menu setting, the inner pan will heat up and water will boil. 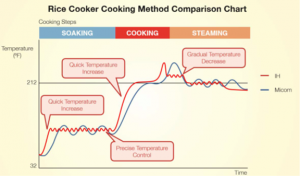 When the temperature setting is met, the heating element stops and will create a high temperature of steam. Gradually, the temperature will drop to the keep warm setting. While using my rice cooker, there was a power failure. What happens to the rice cooker? If an external power failure has occurred but only for a short time, then there is a possibility that when the electricity resumes, all functions may work normally and the clock is still set to the current time. If the power failure occurred for a long time and the screen displays 0:00, please set the current time to use the rice cooker again. When using my rice cooker, steam starts to shoot out from the steam vent/or there is a boil-over. Please use the supplied measuring cup. Our measuring cups are not a standard sized cup. There is a suggested guideline for water to rice ratio for each model. Please refer to the instruction manual and be sure to cook above the minimum and below the maximum amount. There may be burnt rice or rice grain particles on the heater plate and sensor. Please remove all the foreign matter and clean the product. Check the steam vent cap for blockage. We recommend cleaning all removable parts at least once a week. Some types of rice have dust and bran that is left over from the milling process and can cause a boil-over. My rice is too hard or too soft. Am I doing something wrong? Please fluff the rice using our supplied spatula after cooking has been completed. Have you had a long power failure? If so, it can cause the cooking time to be altered and the cooking process will be incomplete. Was warm water or broth used for the cooking process? Make sure to use water or broth below 35C or 95F otherwise the sensor will not work properly. My rice is scorched. Is this normal? Scorched rice can happen if the timer is set for over 12 hours. There may be rice starch build up at the bottom of the pot while waiting for the timer function to start. Basmati rice is a high starch grain so when cooking try to stir the water before pressing start key. Are there any burnt rice or rice grains in any place? There may be uneven heat distribution between the heater plate and pan. If the problem persists please contact our customer support team for a service order request. My rice cooker smells bad. How can I clean it? Normally, odors can come from bacteria multiplication. Uncooked rice contains bacteria called bacillus cereus, which is commonly found in soil. It is a spore-forming type of bacteria that can survive the cooking process and the moist rice and warm temperatures can make these spores germinate and produce toxins. Please avoid improper storing of rice. Reheating cooked rice does not inactivate the toxins or kill bacteria. Rice contaminated with bacterial growth is not visible and will not affect the taste or smell of rice. Very few people realize that bacteria can be responsible for their food-borne illnesses. Cooked rice must be kept above 140°F or cooled as quickly as possible in a different container and stored below 39°F to minimize bacterial growth. Remove inner pan, inner lid, steam vent cap, gaskets (if any), dew collector, spatula holder. Make a sanitizing solution consisting of: - 2 tbsp. of chlorine bleach. - 2 tbsp. of dishwashing liquid and hot/boiling water. Dry all removable parts with a dry clean cloth. My rice is spoiled, too dry, brown or yellow but I just cooked this a day ago. Is my rice cooker defective? Rice can become yellow or become brown due to oxidization and reducing the keep warm time can prevent color change. Avoid using alkaline water as it can breakdown rice starch and will make your rice too wet or sticky and change the color of rice to yellow. Each model has a maximum time that you can use the keep warm function for. For induction heating models it is 24 hours. For microcomputer chip models it is 12 hours. For electric rice cooker/warmers it is 12 hours. Be sure to gather rice toward the center when using the keep warm function to prevent drying of cooked rice. When using keep warm function, ensure that the rice amount left is within the minimum amount. Please avoid going over the maximum keep warm time as it can cause bacterial growth (refer to ‘My rice cooker smells bad. How can I clean it?’). It can also lead to burning the bottom of your inner pan, damaging your heater sensor and can affect the quality of cooked and warmed rice. If there is leftover rice, please cool as soon as possible and store in a different container. Once the leftover rice has cooled please store in temperatures below 39°F to prevent bacterial growth. My keep warm light keeps flashing. What is going on? Please avoid using the keep warm function longer than the maximum amount of time. Can I make a second batch of cooked rice right after I finished cooking rice? Will hot water help speed up my cooking time? Liquid temperatures above 35°C or 95°F can lead the sensor to malfunction so rice may not cook thoroughly or the cooker may not heat up at all. Please use room temperature water or broth. Can I use alkaline water? We do not recommend using alkaline water with a pH balance over 9. Alkaline water can breakdown rice starch and as a result, can lead to very wet or sticky rice as well as yellowing. How can I reset the menu function? I accidentally chose the wrong one. Plug in the rice cooker to the power source. Press and hold the cancel button for 5 seconds. Make sure that no lights on the machine are on before pressing start. Unplugging the power cord will not reset the cooking menu function. When burning and smoke occur it is usually due to foreign matter causing uneven heat distribution between the heater plate and inner pan. Please avoid dropping any rice grains on the heater plate and placing the inner pan inside the cooker while the bottom is wet. Please ensure that your heater plate is clean. At the event of burning and smoke please contact our customer support team for a service order request. There may be some rice grain particles between the heater plate or on the sensor, please clean the heater plate surface and try again. Make sure that the power cord is plugged in firmly. Avoid placing your inner pan on the heater plate when the bottom is wet. This sound is made by thermal expansion and is not a malfunction. What is the keep warm temperature? Since our models vary please refer to this as a guideline, it is between 158°F – 194°F. However, when using the keep warm function for an extended period amount heat can escape every time the lid is opened and closed. Is it okay to use rinse free rice? Dust, air, bran particles can be left on the rice from the milling process so we recommend soaking at least 30-40 minutes before cooking rice and please be sure to use the silicon mat to prevent scorching. The rice is turning yellow. Why is this happening? Leftover bran can cause the rice to yellow or brown. Please wash the rice thoroughly before cooking. Avoid using alkaline water/ionized water over pH levels of 9 as it can cause rice to yellow. The rice is being kept warm for longer than 12 hours, reduce the keep warm time to avoid yellowing of rice. The starch in the rice can change color due to oxidization. Can I use my commercial rice cooker to cook porridge? The heater is too strong to cook porridge. What is the silicon mat for? The silicon mat’s purpose is to prevent from scorching rice. To clean the silicon mat please use mild dishwashing liquid soap and warm water. Do not use chlorine bleach on this material. What is the minimum keep warm amount for the food warmer JHC model? There is no heater on the bottom of the unit so heat sources will be on the lid and sides of the rice warmer. Please keep at least 50% of the container’s capacity. Storing food less than 50% of the capacity can lead to food spoilage. Can I use brown rice to make mochi? Brown rice will be able to steam through though it may take longer in comparison to white rice. Though, it is possible to make brown sweet rice mochi, you may find that after the cooking has been completed that the mochi will have cracks and will become unsmooth even after the pounding process. This is due to brown rice having a bran layer whereas, white sweet rice, this bran layer is removed. How do I steam? Is there a sensor? There is no sensor in the mochi maker. The steaming function will be complete when all the water has evaporated. The impeller is not moving. What can I do? Check if the shaft is turning. Shaft is not turning, try to add 2 cups of water into boiler and then set inner pan and press steam. After the steaming is done, carefully remove the inner pan as it is hot. Cover the shaft with a kitchen towel and twist the shaft with a wrench. If it is too hard to twist, please repeat the steaming process several times until the shaft can be turned. The machine is making loud noises during the pounding cycle. Make sure that the product is on a flat surface. Make sure that the screws on the mochi maker’s legs are tight. Remove the inner pot lid during the pound cycle. My mochi texture is very coarse and rough. Why is this happening? Please check the type of rice used. Make sure to use white sweet rice and not brown sweet rice. Ensure that the sweet rice is soaked at least 8 hours or overnight. Sweet rice requires soaking before the steaming process. You can try to cut the draining time in half or add more water into the boiler. You may need to use the pound function for a longer duration. Be sure to use the mochi impeller for the pounding process. What is the long impeller for? The long impeller is for making a soy bean paste (miso). If you need the recipe, please contact our customer support team. The steam cycle ended only within a few minutes. The rice is not fully steamed. Be sure to add the water to the steamer reservoir and not the inner container. My mochi is too soft, what is the cause of this? 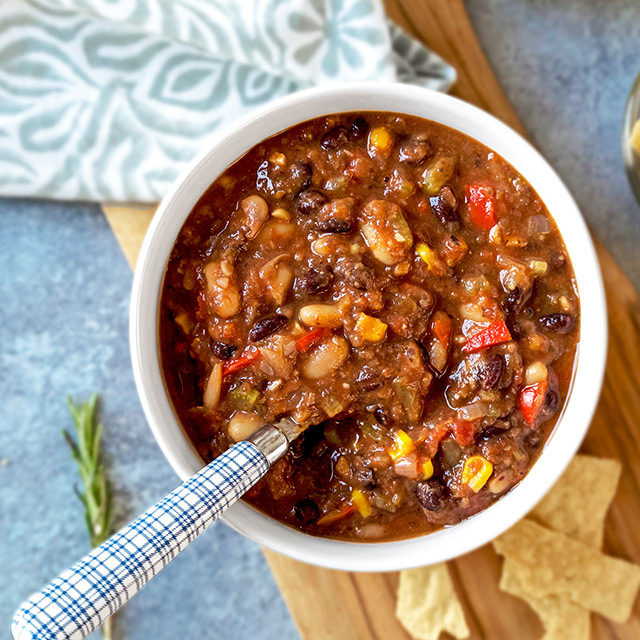 During the steaming process, be sure to avoid adding too much water. When there is too much water, too much steam is created and becomes dewy which will build up on the inner pot cover causing it to drop and fall towards the rice cake. Can I purchase your water heater and use it overseas? Our products are sold by region. Please contact our customer support team to obtain contact information of your local distributor. The water heater has some sort of odor. How can I remove it? The lid packing material has no smell however it has a property that easily absorbs surrounding odors. In this case, please boil the lid packing several times to see if the odor can be removed. If not, the lid packing may need to be replaced. To purchase replacement parts please see our spare parts store for our water heaters. Citric acid is the recommended solution for removing odors. Our spare parts store water heater section has citric acid available. To make your purchase select your model number at our spare parts store website. Please do not immerse your water heater in water or place it on a very wet sink. Fill the inner container with cold/room temperature water to maximum level. Plug the power cord into the power source and choose the highest temperature setting. After the water boils, the keep warm light will turn on. Please leave the unit for at least 8 hours or overnight. Please do not unplug the power cord during the cleaning process. Dispense the water completely by using the dispense button or by pump. Plug the power cord into the power source and leave the product to boil. When boiling is complete, the keep warm light will turn on. Please leave the unit on keep warm for at least 1 hour. Dispense the water completely to remove the remaining citric acid. Rinse the container with cold water. Why is citric acid good for water heater maintenance? Citric acid is a food additive so even if it is accidentally ingested, it is safe. Citric acid can also melt mineral deposits so citric acid in solution form can easily clean the pump without clogging. There is rust inside my inner container. Is it poisonous or safe to use as it is? If citric acid solution did not troubleshoot the issue, then the next step would be to replace the inner container reservoir for your water heater. There are particles floating in my water heater and red rust like spots that appear on the inner vessel. The particles that you see are various mineral deposits consisting of calcium, magnesium, iron and copper that can build up in the inner container. It is also known as limescale. The color can change and vary depending on the quality of water in your area. When the water is boiled, the minerals are left behind and end up building up on your water heater walls or sink to the bottom. Mineral deposits that have crystallized can penetrate the stainless steel inner container and cause corrosion so we recommend using filtered water to avoid mineral deposit build up as well as citric acid cleaning solution to help maintain your water heater. Citric acid cleaner can also help avoid limescale build up that causes dispensing issues. My water heater stopped dispensing water. How can I fix it? Common problem among water heaters are mineral deposits. When the water is boiled, it leaves behind minerals which slowly build up on the walls of your water heater. If this build up is not removed (by citric acid), it will eventually clog up the pumping unit and cause it to stop dispensing water. Tap water contains too much calcium or magnesium, so you will find white deposits, known as limescale. The "rust" like marks can also become prevalent as it is actually electrolyzed water that picks up iron from the minerals during the boiling process. Sometimes red/dark orange flakes (iron deposits) appear on the water heater. It appears like "rust" but it is actually not since the lining is stainless steel which is rust resistant. I used citric acid but see no improvements. It looks like my inner container is corroding. In this case, mineral deposits built up over time have crystallized causing it to adhere to the coating. The crystallization only occurs during prolonged contact and can be avoided if the water heater is maintained regularly. When corrosion is apparent, please contact our customer support team for a service order request. If you have not cleaned your water with citric acid since the initial purchase, please do so by following the instruction below. Some states may have higher mineral contents in water so the rate of how often the citric acid cleaning process must be repeated is about 1-3 months. Since the lid is detachable, can I wash the lid in the sink? The lid cannot be fully immersed in water. We recommend to use a damp soft cloth for wiping the outer lid. When water is boiling, there are humming sounds inside the water heater. Is this a malfunction? These sounds are due to bubbles bursting in the inner container. It is not a cause for concern but rather, please keep your inner container clean by using our citric acid powder. Will my water heater be a safety hazard if I am away for a long time? The water heater has fire preventative measures. When being away for an extended period of time, we recommend unplugging the product. When there is no water in the inner container, or when boiling a small amount of water, the microcomputer will detect tis and automatically turn off. The screen will indicate F2 or the lamp will blink alternately (depending on the model). To use your water heater again, unplug and fill the water heater up to the maximum line. Please leave the product for some time. Once it is re-plugged, the water heater will be ready to be used again. Multiple thermal safety mechanisms are also provided so that the thermal fuse will eventually blow out as to not cause an accidental fire. However, the thermal fuse will need to be replaced in which case, please contact our customer support team for a service order request. Hot water is flowing out of the water heater. Is this a malfunction? This typically occurs when there is water above the maximum scale. When pressure in the pot rises, hot water can spontaneously flow out of the spout. Please put the amount of water below the full scale. Can I use hot water and pour it in my water heater to speed up boiling times? The sensor may malfunction when pouring hot water inside the inner container. We recommend using room temperature water to avoid this issue. There seems to be a gap in the lid. Is this a defect? There can be a slight gap of the lid that can be pushed up by the lid gasket. However, if there is steam leaking from the gap between the lid and the main body, please contact our customer support team for inspection and a service order request. What is Energy Saving VE mode? It features an economical “keep-hot system” combining double walled vacuum insulation pot and electric heat. ‘VE’ is short for vacuum and electric. Hot water will begin to cool down gradually over time once the pot is unplugged. Energy saving is when the temperature reaches the temperature set, then the heater will shut off and reduce boiling time. When I use the power saving timer function and set the time, does the hot water boil and then get cooler? When adding water, the boiling process takes place first and then gets warm. But if using the power saving timer function without adding water, the temperature will rise and keep it warm. My water heater’s screen displays F2 (or C4). What is the cause of this? When adding water to the inner container, the sensor may sense a sudden temperature change and these indications might appear on the screen. When the water heater is boiling and the water amount is below the minimum. Please unplug the water heater and re-plug the cord after a minute or so and the screen should reset. What is the life span of the lid gasket? Depending on the frequency of use, we recommend that the lid gasket be replaced if it becomes dirty or becomes discolored (white). Please check the lid gasket yearly. If you are in need of purchasing replacement lid gaskets please see our spare parts store for our water heaters. Please contact our customer support team to buy spare parts for stainless steel bottles, lunch box, magic cooker, and thermal carafes and etc. When I shake my product, I hear a sound as if something is inside. Is this a defect? This sound is not abnormal, since there is a vacuum dual layer wall that creates your bottle, there is a copper sheet in the vacuum for insulation purposes so when the bottle is shaken, it will create a light chiming sound. The contents of my product are leaking, why? The gaskets may not be properly installed or possibly torn. To purchase replacement parts, please contact our customer support team. At the time of manufacturing, a hole is drilled at the bottom to create a vacuum and a seal is affixed. Please do not peel off this seal as peeling can alter the insulation effectivity of the bottle. Can I put dairy products in my stainless steel bottle? Dairy products, alcohol, any fermented beverage can raise the internal pressure and can cause an explosion inside. This can be very dangerous so please exercise caution. Fermented beverages can exhibit certain odors that can be absorbed by the gaskets. What is Super Clean/Super Clean Plus Finish? The inside of our stainless steel wares has been given a smooth and polished interior that helps it be tough against stains and odors. When you enlarge the super clean plus finished surface, it is so smooth that stains and rust are unlikely to affect the interior. Can I use a dishwasher to clean my Tiger stainless steel products? Our stainless steel products are not dishwasher safe. Dishwashers can cause deformations to the product. Can I use dishwashing liquid and a sponge while washing the product? Dishwashing liquid and the soft side of the sponge is acceptable. Please avoid harsh scrubbing and ensure that it is rinsed thoroughly so no detergent will remain inside the container. What is the grade of the stainless steel in Tiger stainless steel products? Tiger stainless steel bottles are all SUS-304, known to be excellent in rust and corrosion resistance. It is also the same steel used for kitchen sinks and the like. Our bottle consists of two layers, an inner bottle and an outer bottle and a vacuum is formed between these two layers to create a vacuum dual structure. Although, heat has the property of moving from higher temperature to lower temperatures through metal, wood, glass, water, air and other substances, heat does not transfer in our bottles because of the vacuum. 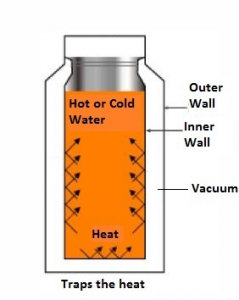 If the outer bottle is damaged by dropping or misuse, the vacuum wall will be broken and the temperature from the inner bottle will be transferred to the outer bottle. Heat retention and cooling insulation disappears so please handle your bottles with care. My gaskets and bottle have a terrible odor. What is the best way of cleaning it? Remove the gaskets, and wash with a gentle dish washing liquid. Odors usually occur when drinks are left inside for extended periods of time. To remove odors, use a teaspoon of citric acid and hot water and leave the container for 2-3 hours. Hot water is not dispensing or not flowing out smoothly. Please check your rubber gaskets on the lid if it is damaged, or loose. If it is damaged, the rubber gasket must be replaced. To purchase spare parts please contact our customer support team. If the gasket is loose please align the gasket and the stopper in the correct position. The heat retention is not as long as expected. Why is this? The glass liner thermal carafe may have been dropped and the glass liner could be broken so please handle them with care. For stainless steel liner thermal carafes, the vacuum insulation may no longer be working. There are some shiny flake like substances inside my carafe. What is it? Dilute citric acid (10g) in lukewarm water and fill the carafe with water. After a few hours, pour the solution out and wash the main body with a soft bristled brush. Thoroughly rinse the main body and leave to dry completely. Even when flaking does not occur, we recommend to clean the inner glass lining with this method periodically as a preventative measure. To purchase citric acid, please see our support section to visit our online spare parts store and select your model. I just bought a new thermal carafe but the water is not dispensing well. Why? The carafe will dispense about 360-400ml of hot water and 110ml cold water. If the water is not dispensing well, then the carafe is losing air pressure from the bottom. For products with bottom covers, insert pliers or a flat head screw driver into the indentation or concave area on the bottom cover. There is a knob or handle on the bottom, turn in a clockwise direction and reattach the bottom cover. If there is no bottom cover, turn the knob or handle in a clock wise direction. There are black dots in certain places on my thermal carafe. Is this mold, rust or some sort of defect? It is the material used to weld together the inner container's glass lining contents to create vacuum insulation. Since the inner container is reflective, the shadow of the weld marks look dark and black. This adhesive makes no contact with any liquid inside the carafe. Consumable parts such as inner pan, inner lid, gaskets, steam vent cap, dew collector, power cords, complete outer lids, complete outer caps, deep pans, glass lids and etc. For rice cooker, water heaters and other cooking wares, please see our spare parts store. For stainless steel wares and other accessories, please contact our customer support team for ordering parts. How can I get my product serviced? Contact our customer support team for any service order requests. My warranty has expired but I need service. What can I do?